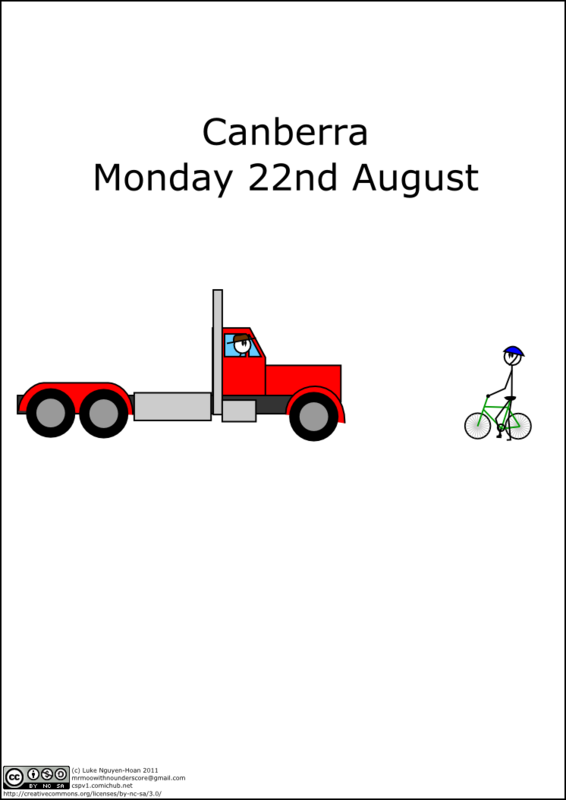 So, here come the truckies (amongst others), to protest against the government. Of course, then there's the people who are going to go for a bike ride around parliament house tomorrow to support the carbon tax. Yeah, late again. Been playing Deus Ex HR all weekend :D I'll put up a new comic either tonight or tomorrow night at the latest.